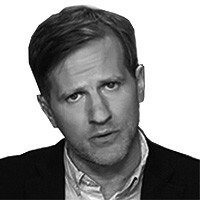 Why every writer, celebrity, and citizen is taking a stand on the Syrian intervention. By Michael Moynihan. Ignore the clumsy comparisons of the Syria War and the Balkans War. This current conflict better resembles the Spanish Civil War: the great powers arming and manipulating a bloody internal conflict; the celebrity and pundit classes—now with the added earnestness of high school friends ruminating on social media—taking sides, regardless of how ill-equipped they are to offer informed judgment. With fresh memories of Iraq, we’re all being deeply skeptical while staking our territory, but our arguments are often as confused, naive, misinformed, and conspiratorial as they were in 2003. To start with a few trite but admirably humanitarian examples: the social media campaign demanding that “we must unite for Syria,” which included the expert opinions of big-hearted celebrities Mark Knopfler, Patrick Stewart, Natalie Portman, and Susan Sarandon. Such calls for unity require us to “tell the United Nations’ Security Council” to stop the bloodshed, though they seem unaware that the truculent Russians might be pro-bloodshed. Or this series of Oxfam photographs from the Glastonbury Festival featuring indie bands declaring that they “love Syria,” a pointless but harmless bit of moral preening (the best headline of the week: “Celebs React to President Obama's Request for Action Against Syria”). Sarah Palin, offering the nuance one would expect from a reality-television star, unlearned the McCain campaign’s internationalist lessons and wrote of Syria, “let Allah sort it out.” Actor James Woods tweeted, “Perhaps Britain's decision makers factored the Benghazi betrayal and cover-up into their decision not to get into the trenches with Obama.” Russell Brand took to Alex Jones’s radio show (“It’s a privilege to be on your show”), urging listeners to not believe anything they were hearing from the “big business” media who were “manufacturing consent” about Syria. Pat Buchanan and former representative Ron Paul suggested that the chemical weapons attacks were a “false flag” operation to invite Western intervention. A writer at The Guardian—who also happens to be a 9/11 conspiracy theorist—argues that any intervention in Syria would be on behalf of oil companies. This is conspiracy as caution, skepticism as irrationality, and, in Palin’s case, cretinism as analysis. It’s not about Syria or dead Syrians, but about the belief that the mainstream media abrogated its civic responsibility in the lead up to the Iraq War and us suckers fell for the imperial propaganda. New York Times Public Editor Margaret Sullivan upbraided her newspaper for not being appropriately critical of information coming out of Syria, an overly cautious nod to the mistakes of former Times reporter Judith Miller (and others who shared bylines with Miller on pre–Iraq War WMD stories but have not suffered the same reputational fate). With ANSWER organizing the largest of the anti-war protests (which are still vanishingly small), it’s perhaps necessary to make two proximate points slightly favorable to President Obama: Bashar al-Assad is richly deserving of either the hangman’s noose or some well-placed munitions reducing his palace to rubble. And that the rebellion against his evil regime has been infiltrated by opportunist lunatics affiliated with al Qaeda doesn’t negate the justification for resistance. The invocation of Hitler, previously employed by both President George H. W. Bush and Prime Minister Tony Blair to warn of the dangers of Saddam Hussein, is designed to pack an emotional punch, to act as a substitution for critical thinking, to wonder if you are on the side of the fascists who deploy sarin gas or the anti-fascists who want to stop them. It is tempting to be swayed by images of Assadist brutality and comparisons to the brutal. Because there cannot be middle ground or nuance. All writers, celebrities, and citizens with a Twitter account, we must take sides. We can figure out the details later.